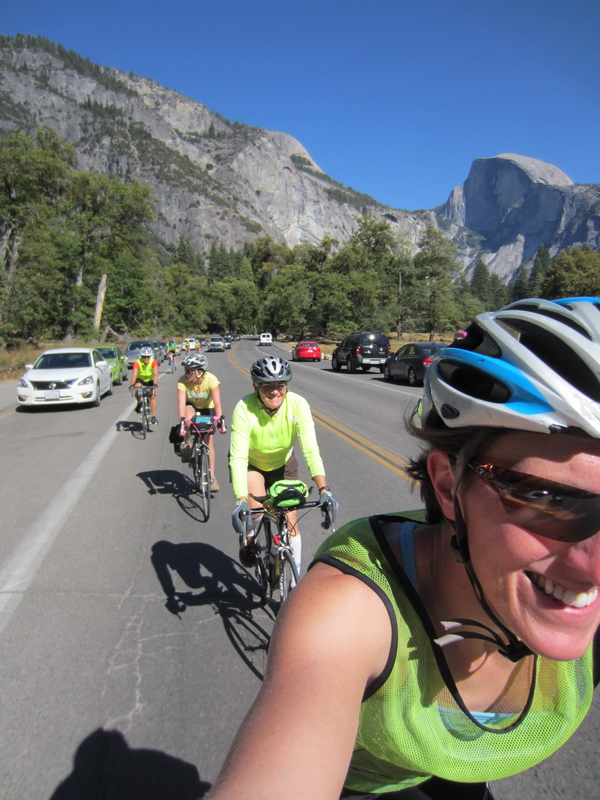 DAY 5: Yosemite by Bicycle! “Yosemite Park is a place of rest, a refuge from the roar and dust and weary, nervous, wasting work of the lowlands, in which one gains the advantages of both solitude and society. Nowhere will you find more company of a soothing peace-be-still kind. …This one noble park is big enough and rich enough for a whole life of study and aesthetic enjoyment…. None can escape its charms. Its natural beauty cleans and warms like a fire, and you will be willing to stay forever in one place like a tree.” – John of the Mountains: The Unpublished Journals of John Muir, (1938). 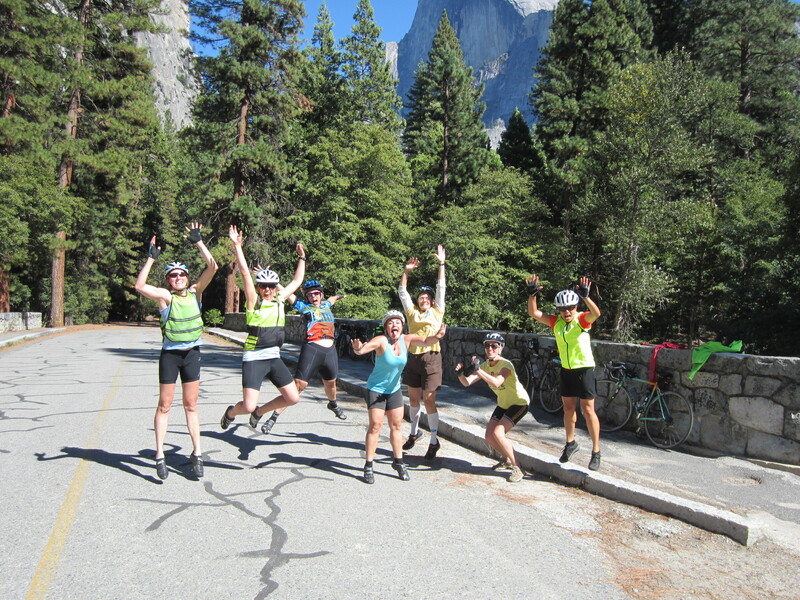 After a great night’s rest at the Indian Flat campground, west of El Portal on route 140, the HAP Tour team headed uphill to Yosemite National Park. 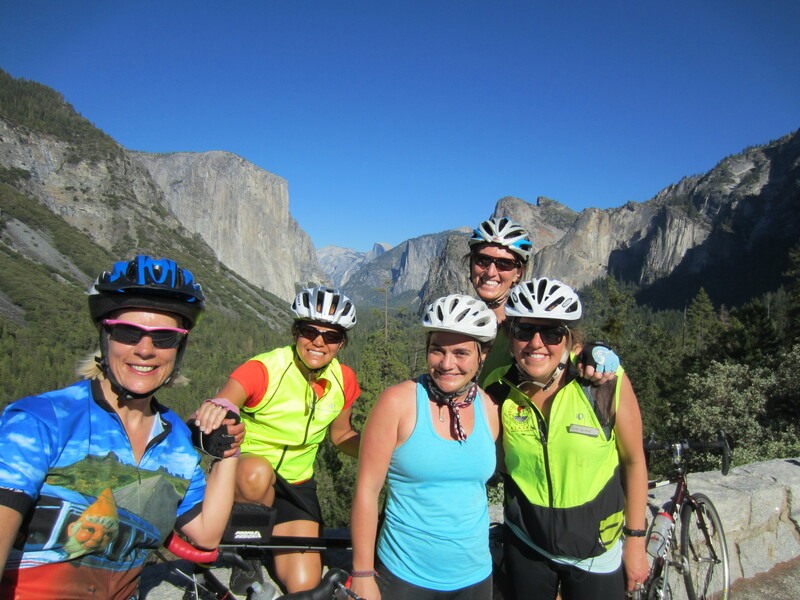 We took a planned “day off” from our school visits to remind ourselves how much fun time spent cycling with good friends on a beautiful day in a beautiful place can be. 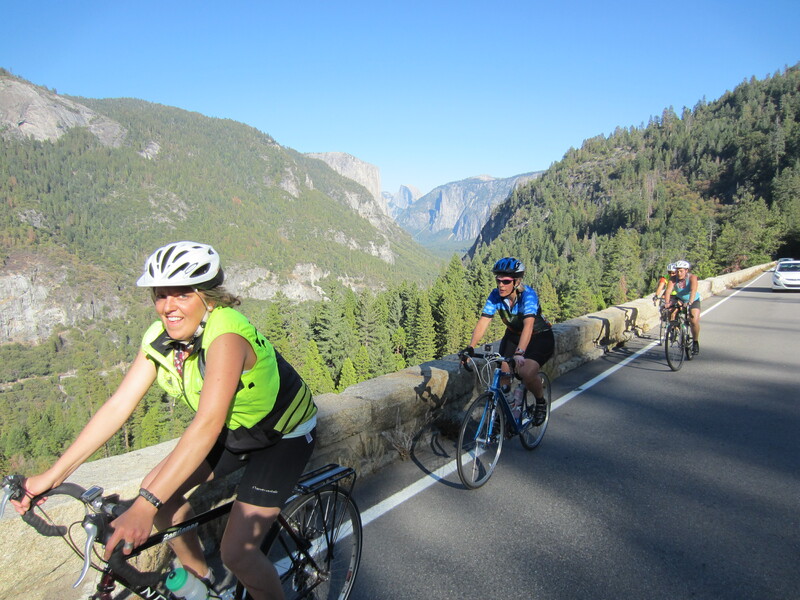 Yosemite National Park is celebrating its 150th anniversary this year and we shared John Muir’s love and admiration for Yosemite and the entire Sierra “Range of Light” as we spent a magical day riding in Yosemite Valley under a clear blue sky. Whether climbing up one of many climbs into the park from El Portal, or out of the park past Wawona, we each spent part of our riding time today thinking how much fun cycling can be, how healthy and exhilarated we feel on the coast downhill following a tough climb, how fun it is to smell the dry grass, the scent of pine trees, and to see the heights of Yosemite’s grandeur without having the view blocked by the roof of a vehicle. “I know that our bodies were made to thrive only in pure air, and the scenes in which pure air is found”. – John of the Mountains: The Unpublished Journals of John Muir, (1938). Cycling is a great way to help keep our air clean for all to breathe and enjoy. The Healthy Active Places Team agrees with Muir after. “Another glorious Sierra day in which one seems to be dissolved and absorbed and sent pulsing onward we know not where. Life seems neither long nor short, and we take no more heed to save time or make haste than do the trees and stars. This is true freedom, a good practical sort of immortality. My First Summer in the Sierra (1911). 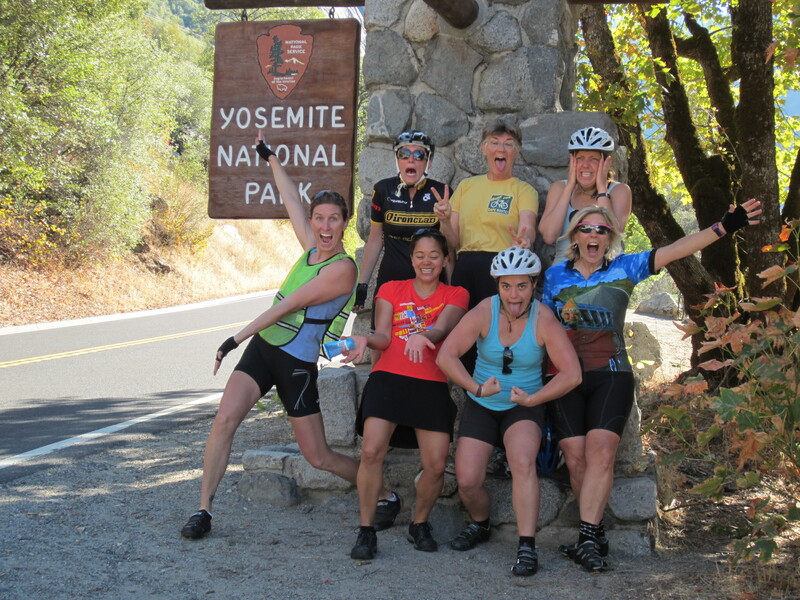 We wish this experience of joy and freedom, outdoors, whether walking or cycling for all our friends and children in the California Central Valley. Wow! Great quotes and photos. Too bad about the weather, though.